It is not often that I consider myself blessed, but every two months or so, our apartment receives a copy of Museum Replicas Limited and I immediately retreat to the bathroom to leaf through it on the can. 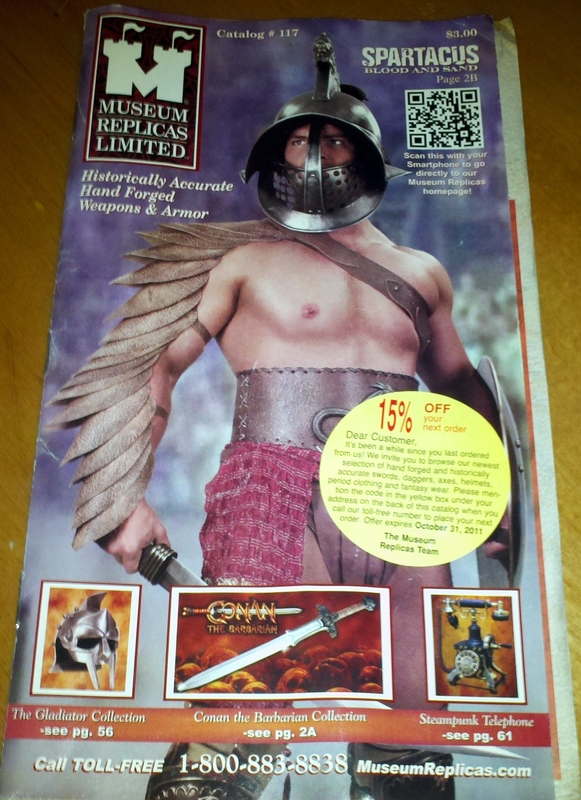 I got a copy in the mail shortly after my roommate and I moved in and the first thing I thought was I bet these guys made a mint with all the bros the Halloween after 300 came out in theaters…”I NEED a costume that is COOL and can show EVERYBODY how JACKED I am!” This catalog is anything but cool (at least in the traditional sense). 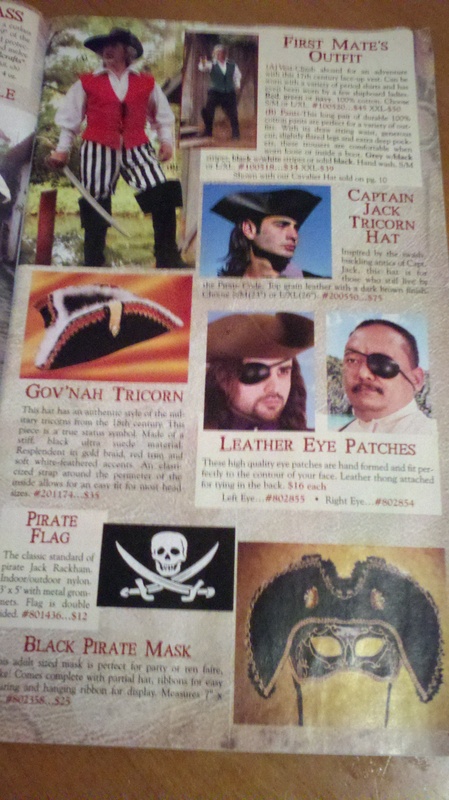 Between Renaissance Fairs, Dungeons & Dragons and mall stores that last two weeks, I knew that things like this existed, but I never knew that people took it this seriously. 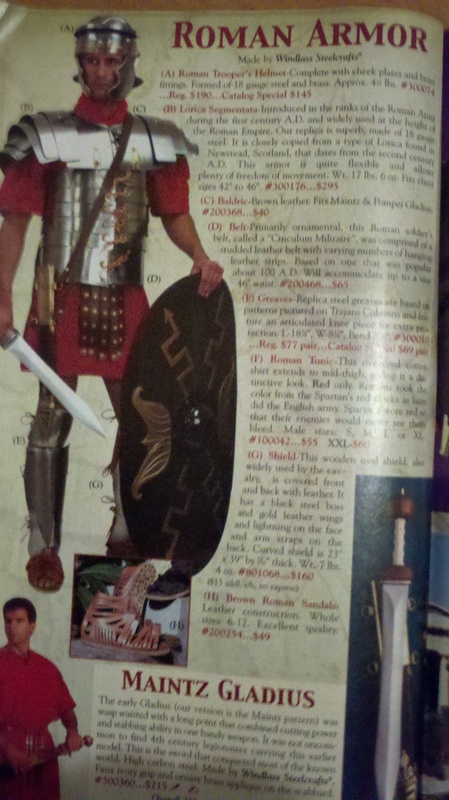 Playing dress-up at home and pretending that Rome never fell: priceless. Some people obviously take things extremely seriously. 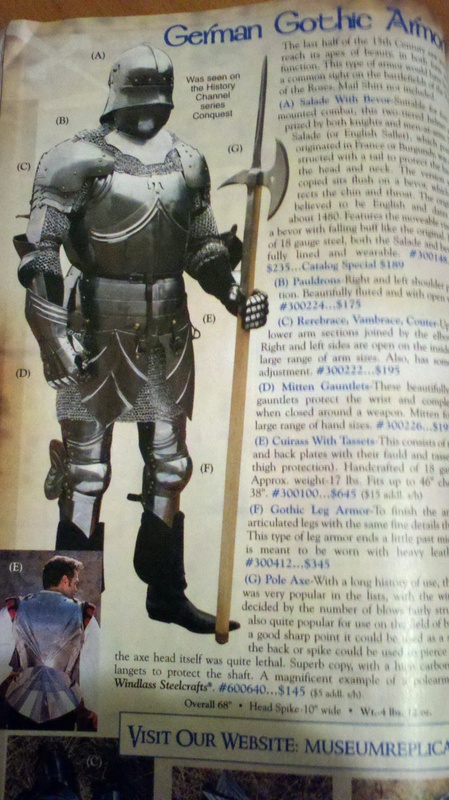 A complete German suit of armor. This set had the biggest price tag in the catalog at just under $2,000. 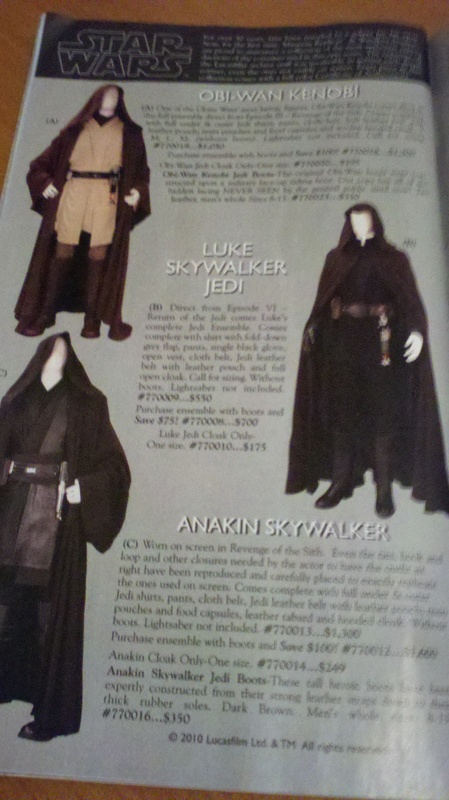 They even have a little something for the ladies so that their dorky manboyfriends don’t have to go it alone. I have to admit, nothing turns me on more than a woman in a corset. 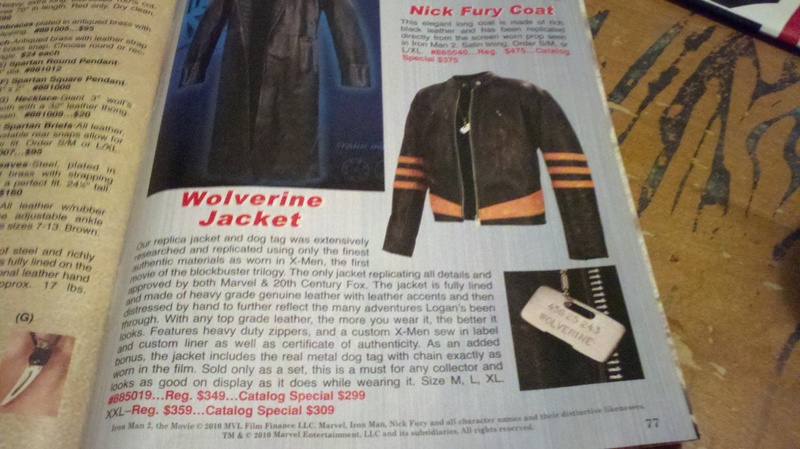 I think they offer expedited shipping, so if you act fast, you may be able to get a Wolverine jacket before Halloween! And as you can see on the cover, it’s 15% off! 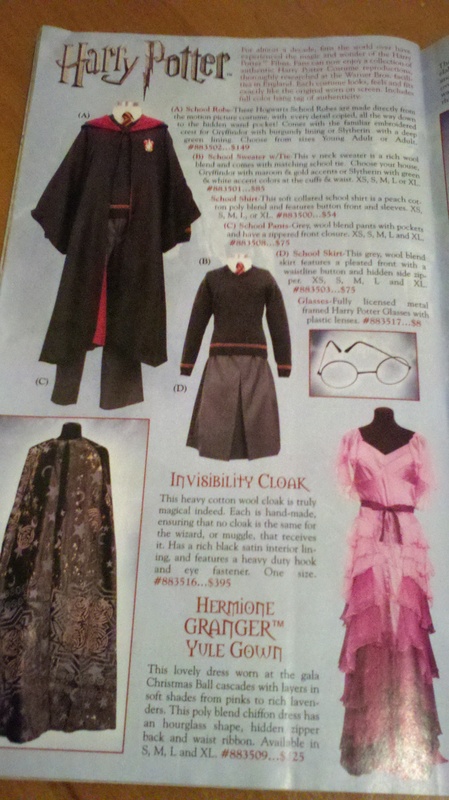 I can truly say that I have never seen a clothier that had more of a one-stop shop sort of catalog. 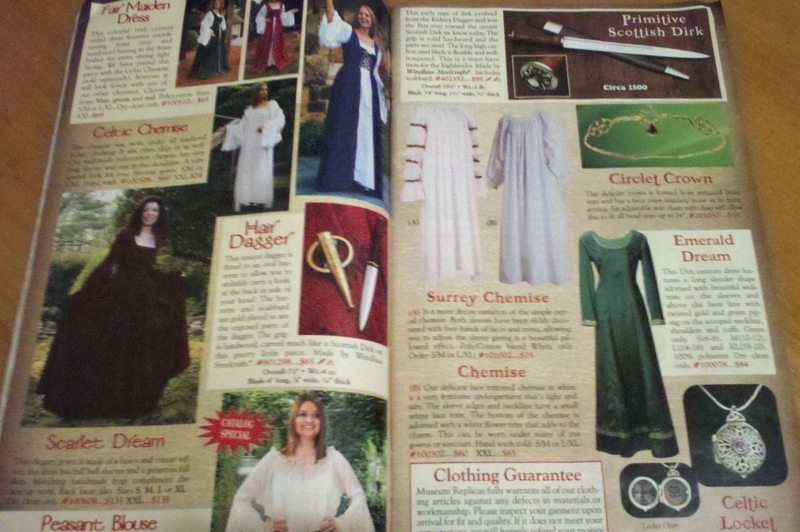 I can also truly say that as a total nerd, this publication more than any other helps to bolster my self esteem. Let me know if you’re interested in a subscription.